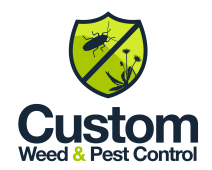 Custom Weed & Pest Control has provided exceptional weed control services to the Phoenix metro area since 1989. With over 20 years of experience in the industry, we have the capacity to handle large HOAs and commercial projects as well as residential houses. Whether you've got a front or back yard filled with weeds or a huge lot that's out of control, we can take care of it. Contact us today for more information!